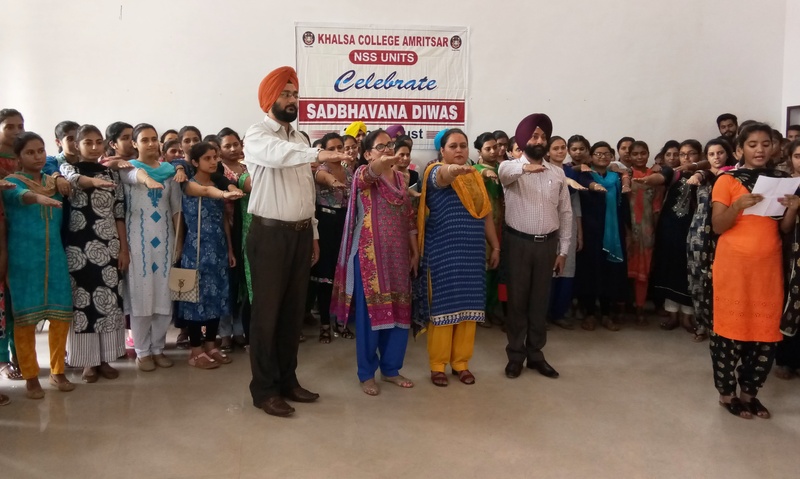 NSS wing of Khalsa College Amritsar organized ‘Sadbhavana Divas’ on 20th August, 2017. More than 200 NSS volunteers participated in this event. Dean Academic Affairs, Prof. Sukhmeen Bedi was the guest of honour on this occasion. The students took oath for being honest to the society and pledged that they will not indulge in any physical violence and shall work for harmony of the people of India regardless of cast, creed and religion. 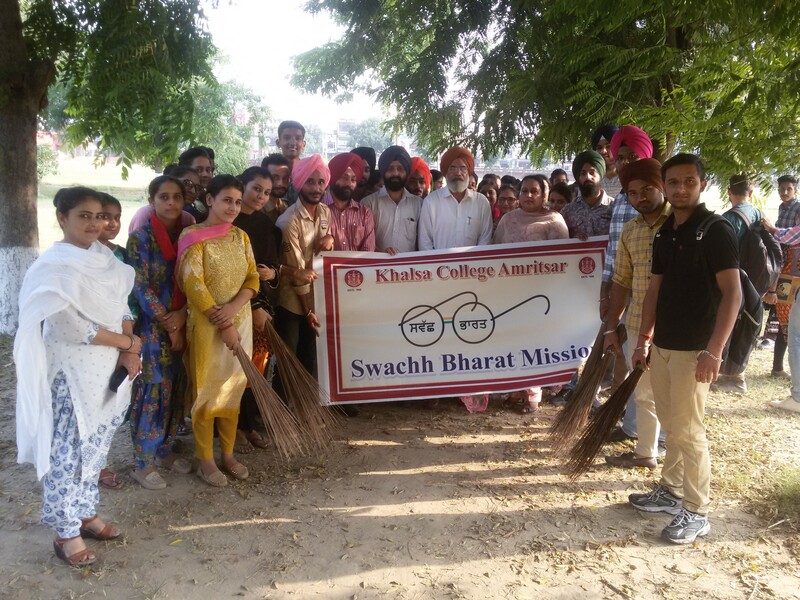 A cleanliness drive was carried out in the college campus jointly by NSS and NCC units of the college on account of ‘Prime Minister Swachh Bhrat Mission’ on 1st October 2017.Volunteers of both the units visited the departments and created awareness among students to keep their surrounding clean and green. A tree plantation drive was carried out in the college on 24th August 2017 by NSS units. 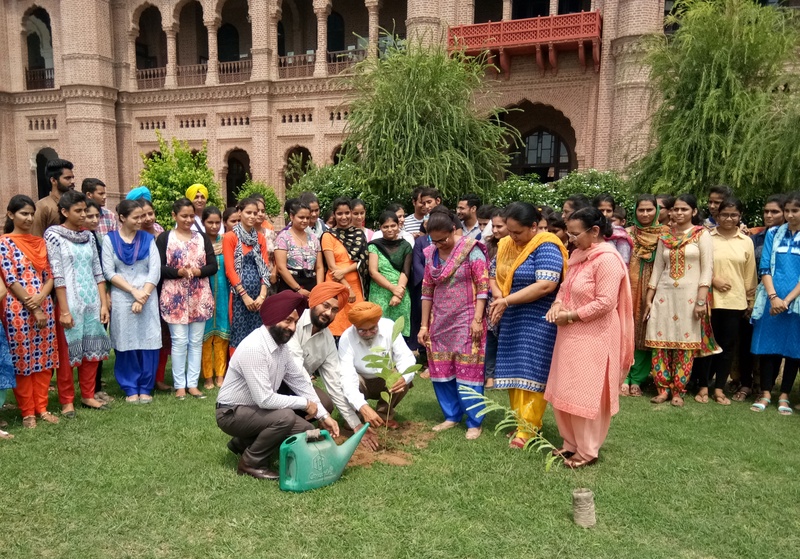 Principal Dr. Mehal Singh inaugurated the event by planting a sapling in the main ground of the college. Over 50 saplings were planted at Khalsa College and surrounding areas. Prof. Sukhmeen Bedi, DAA, Prof. Navneen Bawa, OSD, Dr. Jasjit Kaur Randhawa, Co-ordinator NSS, Dr. Zorawar Singh, NSS Programme Officer and Dr. Amandeep Singh were present at the occasion.